When you invest in home care, you’re not just helping a senior in need of extra attention, but also you’ll be taking a positive step for your entire family. The professional home health care in Massapequa not only offers home care for seniors, but the truth is that they often help your entire families. 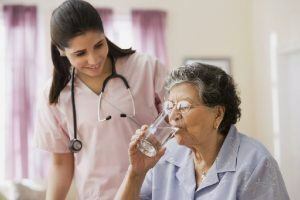 Here in this blog let’s see the benefits of home healthcare in Massapequa for both seniors and their families. The professional caregiver helps to relieve you of some of your caregiving obligations and take over some of your responsibilities. So caregiving isn’t such a drain on your schedule or your emotions. As your loved one’s care needs an increase, you can’t always be available to provide care. By hiring a home caregiver, you can give your entire family peace of mind. Plus, you will be in stress-free mode, because of your caregiving responsibilities, and you can able to spend time with your whole family. If you’re thinking of hiring a home caregiver, then be sure to take a look at these ways that your whole family can benefit from the services, too. But ensure one thing, do the caretaker you choose is capable and fit for your family.